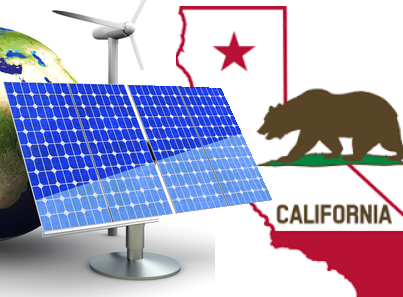 This is the first installment in a series of posts on California's climate leadership. These posts address a wide range of related topics including economic benefits, renewable energy, electric vehicles, and cap-and-trade. The Trump administration's refusal to act on climate change is a missed opportunity that is being countered by the great state of California. Trump has said he is withdrawing the US from the the Paris Climate agreement and he has decimated Obama-era federal climate action and environmental protections. California governor Jerry Brown has made it clear that his state will pick up the mantle that the federal government has dropped. Shortly after Trump signed his energy plan, Gov. Brown said the president’s, "outrageous move will galvanize the contrary force." Gov. Brown has put forward a number of initiatives that repudiate Trump's irrational anti-science stance on climate change. "It draws a huge contrast between Trump wanting to go backwards and states trying to take the lead in tackling the climate crisis," Anna Aurilio, legislative director of Environment America, was quoted as saying in the Washington Post. Gov Brown told the LA Times, "The country and the world is not yet on the proper trajectory. That’s true . . . . I’m using all the resources at my command to increase the commitment." In March Brown said, "No matter what Trump says, China, the world, the academies of science and all the major countries have all recognized climate change. Certainly, businesses acknowledge they have to make these investments. California is well on its way." Jenn Eckerle, deputy director of the Ocean Protection Council said the state is a leader on climate action. "California leads the way in both addressing climate change and protecting our coastal and ocean communities and resources," Eckerle said. World leaders, CEOs, scientists and religious leaders all urged Trump to respect the agreement. If nothing else he should have stuck with the agreement on paper as a matter of self interest. Trump's decision to quit the Paris Agreement prompted global condemnation and a hardening of resolve to act on climate change. State and municipal governments have joined corporate America in rejecting Trump's climate ignorance. "We are reaching out to other states in America and throughout the world and other countries," he said. "We have plenty of fuel to build this movement." Brown is leading the United States Climate Alliance that includes states like New York, Washington, and Oregon as well as hundreds of cities and companies. This coalition is determined to act on climate change and honor the terms of the Paris Accord. "I have met with many heads of state, ambassadors," Brown said. "This is a growing movement.…Things have been a bit tepid [in climate activism]. But this conflict, this sharpening of the contradiction will energize those who believe climate change is an existential threat."